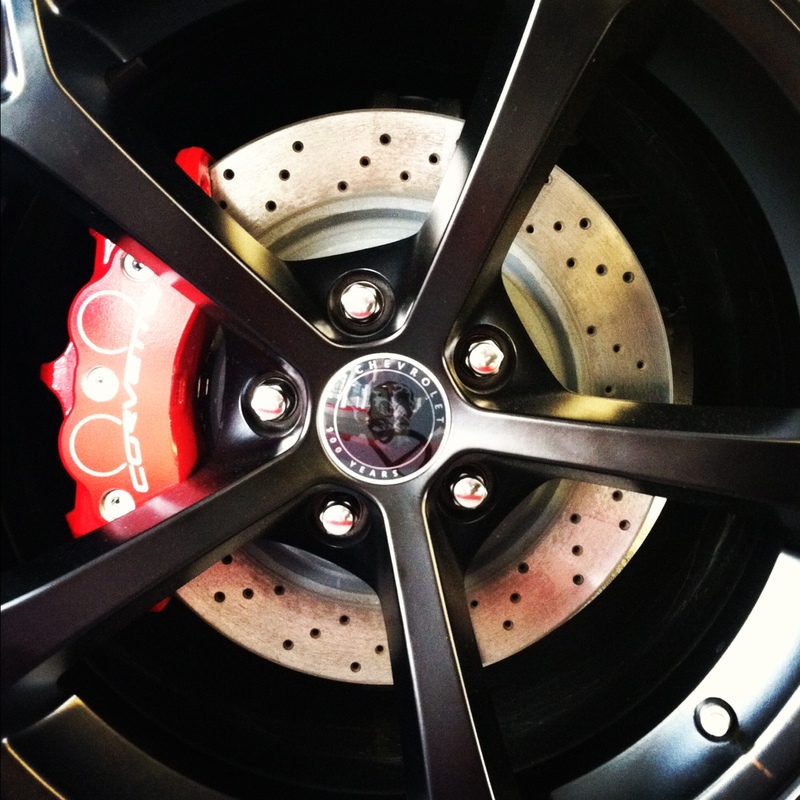 Brakes, they are one of the most vital components on a vehicle for safety and performance. To demonstrate the immense job your brakes perform everyday, we’ll have to have a brief physics lesson. Stay with us, here. Your brakes rotate with your wheels; the faster you go, the faster the brakes rotate. When you are on the highway and you come to a halt, your brakes act in two main parts: the rotor (disc) and the caliper (that red block you see in the photo above). When you step on the brake pedal, the caliper grabs onto the rotating rotor, thus slowing the vehicle. When this action occurs, there is energy is transferred. The energy of a moving vehicle is described as kinetic energy. When you hit the brakes, it’s their job to transform that kinetic energy into heat through friction. The heat then dissipates and your brakes have done their job; keeping you safe. This occurs everytime you hit the brakes, sometimes in a much larger capacity. So with all of these things going on, you may ask how strong your brakes are. From the factory, they are incredibly strong and put up to extreme tests of scrutiny to ensure they pass safety inspections. This brings up another issue: What about maintenance? Some people may want to save some money going with a cheaper aftermarket version, the problem with this is that these aftermarket parts makers have probably not gone through the same types of testing and certification as your car’s manufacturer. These components do their best to keep your car stuck to the road and to keep you out of harm’s way, which is reason enough to keep up on their maintenance. If you hear a squeak when you tap the brakes or have noticed diminished braking performance, it’s best to get checked out. And any of our certified service departments will be able to assist you with any of your maintenance needs. Posted on March 5, 2012, in Automotive, Maintenance Monday and tagged brakes, Crystal Koons, energy, heat, Koons, Krystal Koons, maintenance, Maintenance Monday, safety. Bookmark the permalink. 2 Comments. Very informatative thank you so much. I couldn’t agree more that when it comes to brakes and their performance how important it is to use OEM parts. This is even more true on high end vehicles where I have had personal experiences of using aftermarket parts that did not have the same tolerances as the OEM resulting in brake noise, wheel chatter and the additional expense of swapping back to the OEM. As you said, definitely not an area of your vehicle you want to delay servicing or repairing with inferior parts.